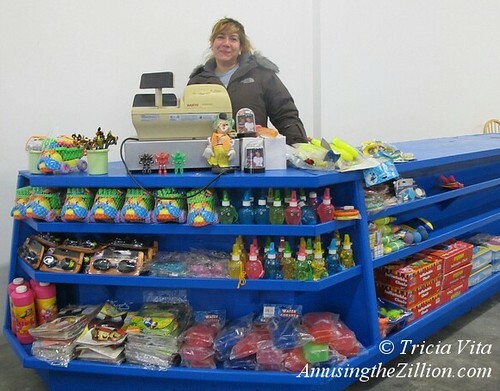 On Thursday in Coney Island, ATZ found longtime souvenir shop owner Maritza Suriano moving into Thor Equities new building at Surf and Stillwell Avenues. The most remarkable thing is that her storefront on Stillwell is pretty much the same spot that she leased for decades in the Henderson Building until she got notice to leave before the building’s demolition by Thor. The space is about three times the size of her former space, she said. The lease is for one season and runs through Labor Day. As ATZ first reported, the building has two other tenants that we were able to confirm: It’Sugar, a Miami-based candy retailer, has the corner store and is expected to open May 3. Wampum, a lifestyle clothing brand and skateboard shop featuring 90% clothing which has two other locations in Bridgehampton and Nolita is slated to open in Coney on May 24. According to the Coney Island Rumor Mill, a restaurant and bar with a roof deck are coming too but the name is top secret, though it’s said not to be a Hooters. Previous rumors have focused on Wet Willie’s and Hooters. What’s missing from this mix? The bells and whistles of an arcade or other “Group A” amusement attraction required by the City’s zoning in Coney Island. In the past, Thor Equities had advertisements touting Coney Island as “The Retail Ride of A Lifetime,” but has since replaced them with photos of the Cyclone and Wonder Wheel. After Thor CEO Joe Sitt announced demolition plans in April 2010, a rendering was released of a cheesy looking temporary one-story building occupied by hamburger and taco food joints. At the time we thought it was a ploy to get demo permits from the City and put an end to preservationists’ efforts to get approval for an historic district in Coney Island. The site is zoned for a hotel of up to 30 stories. Thor’s new building on the Henderson site was finished last year but has remained vacant till now. After losing her space in the Henderson Building, Maritza relocated in 2011 to a cubbyhole of a shop on Stillwell Avenue under Cha Cha’s. In 2012 she had to relocate again and opened her souvenir stand in a trailer at Cha Cha’s Steeplechase Park. 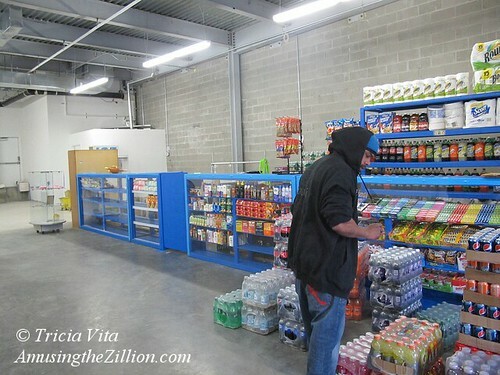 “I’ve been in Coney Island for 25, 30 years,” said Maritza, “Before Stillwell, I was on Surf where the grocery store is.” Her spacious new store has room for groceries and beach gear.